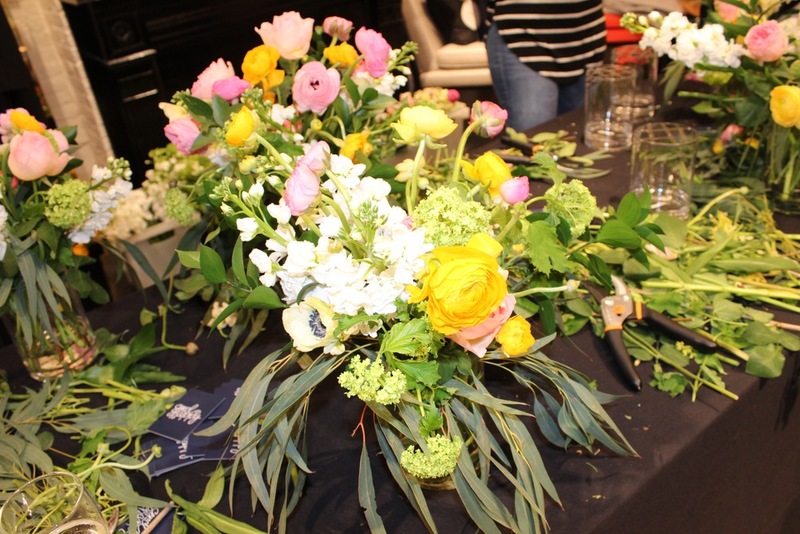 A couple weeks ago I went to an event at Kate Spade to see their new arrivals and take a floral design class with the lovely ladies of UrbanStems! 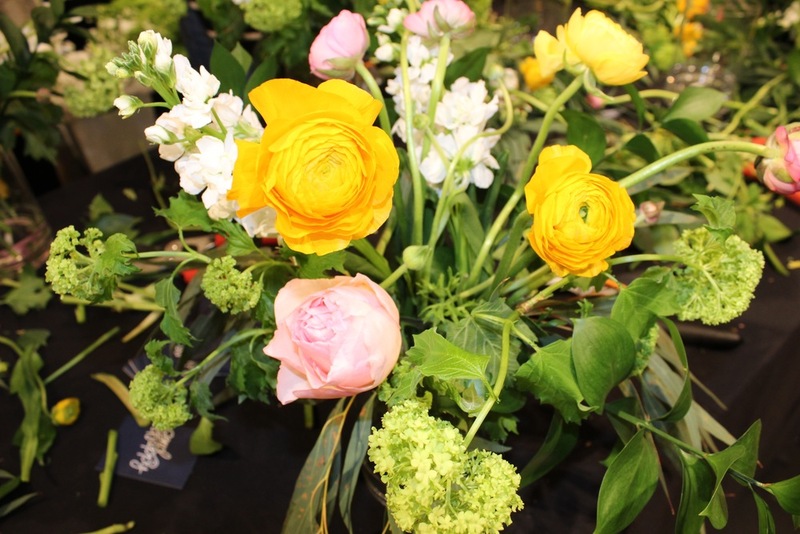 It was so fun to get to mosey around the store for a bit drinking champagne and then getting some great pointers from floral professionals! I usually don't do a ton of shopping in Georgetown, so this was my second or third trip to the Kate Spade store there. Let me tell you, the ladies there are lovely! Such a sweet staff! I snapped a few of the new arrivals! All of the bee stuff is the cutest! 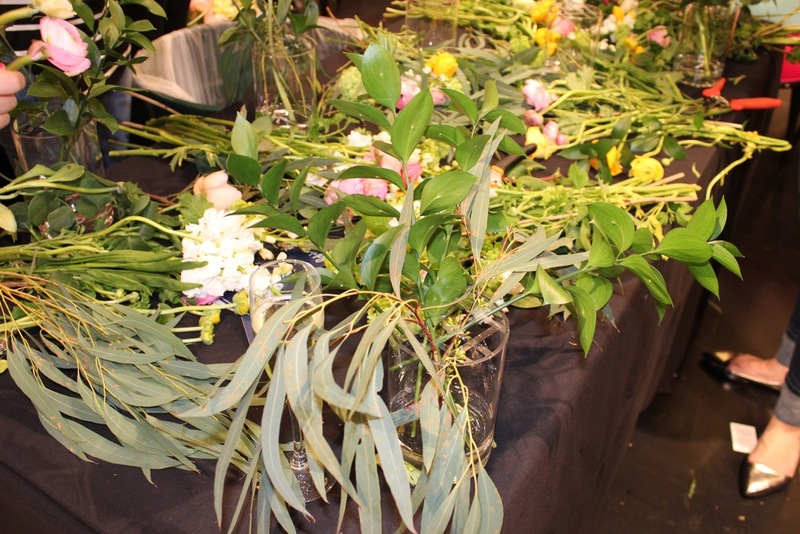 We started with the prettiest stems of spring floral and greenery. They had pre-taped the vases for spacing and then they walked us through each step. 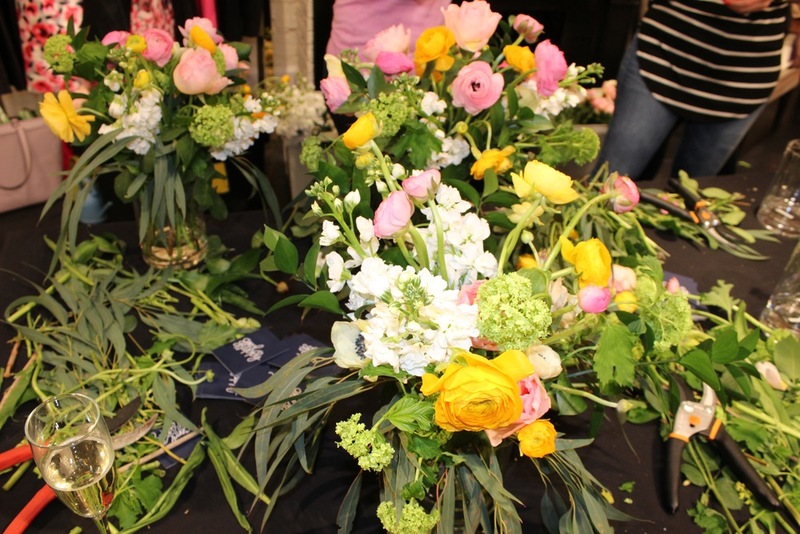 Adding greenery in the bottom for a layer, then layer in your floral at different heights, then fill in where necessary. Such a cool experience! I came home to B and told him all about UrbanStems. Here is to hoping a delivery makes it way to me soon! 😉 For $10 off your first delivery use code STEMS10. They deliver around DC and NYC - check out the website HERE for more info! After checking them all out I think The Marie is my fave! 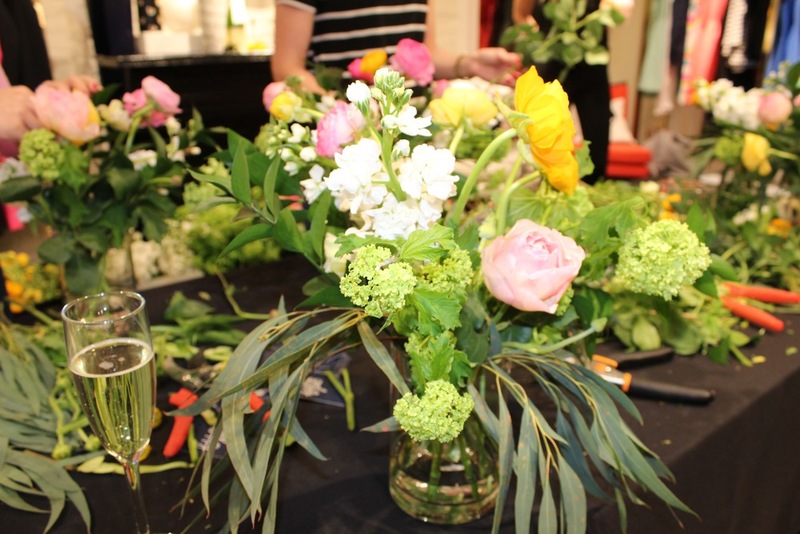 Thanks to both UrbanStems and Kate Spade for such a fun evening! I went to a livingsocial terrarium making class a few years ago and had so much fun. It could have been the terrarium making... or the free flowing wine! That terrarium didn't last too long. I am a serial over waterer... Oops! The livingsocial deal is long gone, but Sill has a few classes if you are in the DC area. So when we were looking for something to hold cards at our wedding, I knew I wanted something with that closed and was made of glass and brass so I could use it again for a new terrarium. It took a long time, but I finally found one I loved from West Elm. It is no longer available, but they have a ton of great new options! I started with making sure I had enough succulents to fit in my space. I chose some that would need a similar amount of H20. Next, I gathered all my supplies! Succulents, soil, water, fertilizer, and some cute golden dinos! Aren't these guys so cute! Liz made them for her wedding. She used them for name tag holders. Such a cute idea! 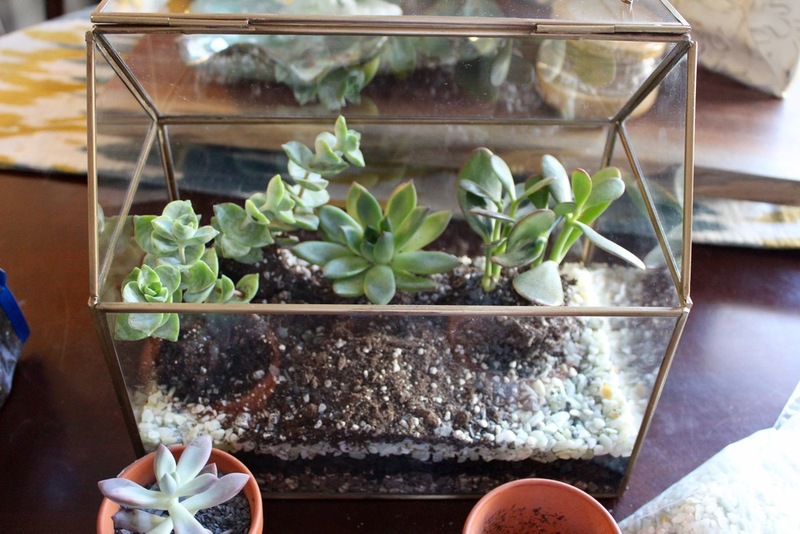 A great DIY if you want to use them for events, or even in your terrarium. She just bought the dinos from the dollar store and spray painted them gold. Needed to add in some small white rocks and my charcoal! If you don't want to buy things separate, you can always just get a small kit to start off. Below is the pretty gold vase filler I used for a pretty layer. I just wanted to add a little more glam to the layers since the entire terrarium is glass. It isn't on the Target website, but I know it is sold in stores. 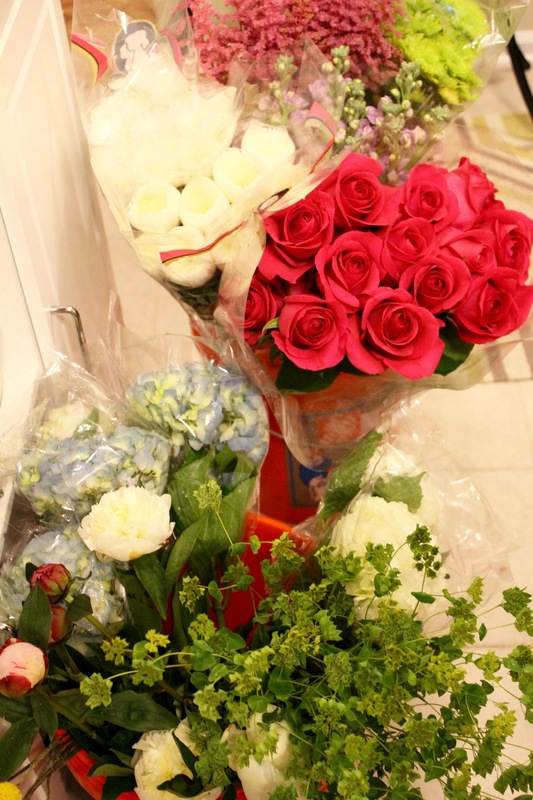 They have a lot of vase fillers to choose from. I got this foam plant food on Amazon and it is awesome. I try to use it once a month. Since it is foam, it will last forever! I know it is easy to over use plant food, so the foam really helps me keep that in check! Let me know if you have any questions and good luck making your own little greenhouse! I planted this little guy as an extra! Isn't this little hedgehog planter too cute!? 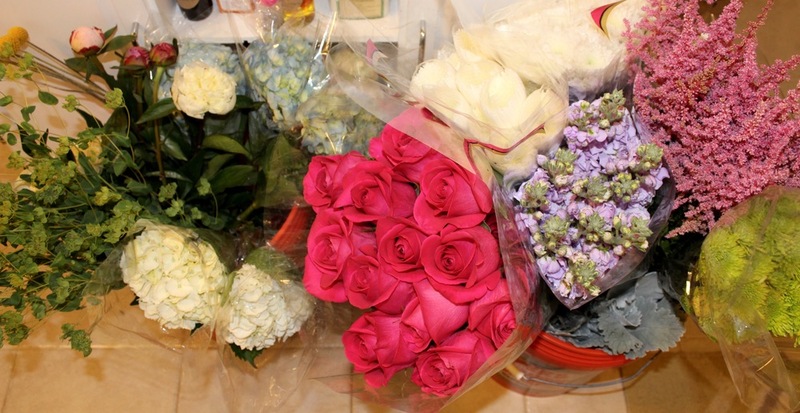 I have mentioned before that I worked at a florist part-time in high school and loved it! Putting together arrangements is my FAVORITE hobby! 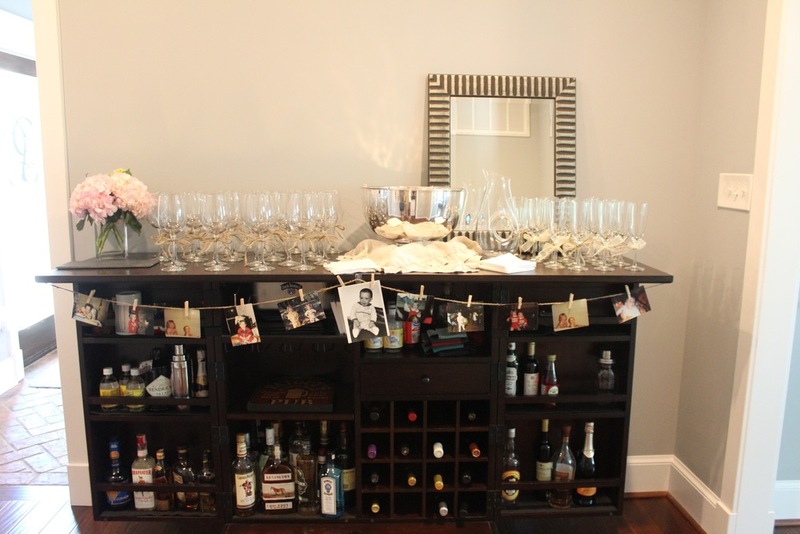 I posted last week about my friend Liz R's bridal shower that I did the floral for (some pics below) and the other pics from this post are from my other friend Liz TH's baby shower! We did a weekend of showers for both ladies. It was busy, but oh so fun! I'll post that sweet baby shower next week! 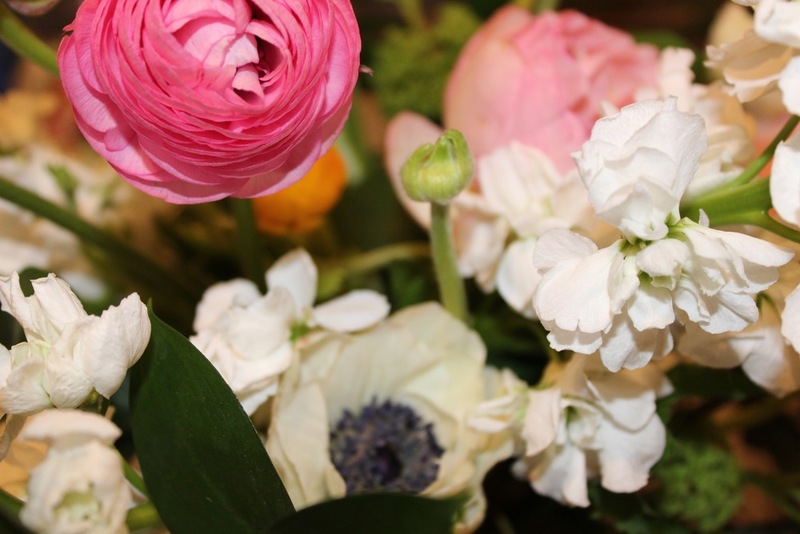 I pick my flowers up at a wholesale florist in Alexandria, VA. They are so nice and helpful! Not to mention not too bad on the wallet. Above: Hydrangeas in a vase with lemons around it make for such a easy centerpiece! 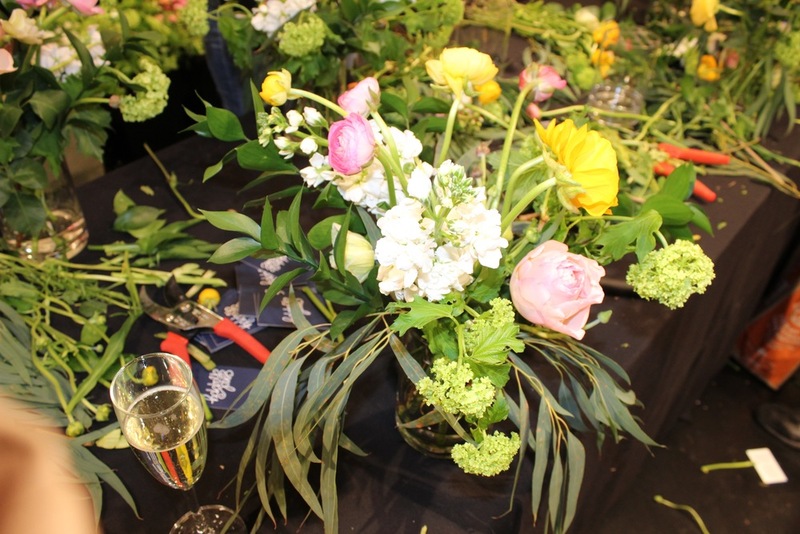 My favorite tools for putting together arrangements are a good wire, floral shears, and floral scissors. Yes, they are both better than regular scissors! 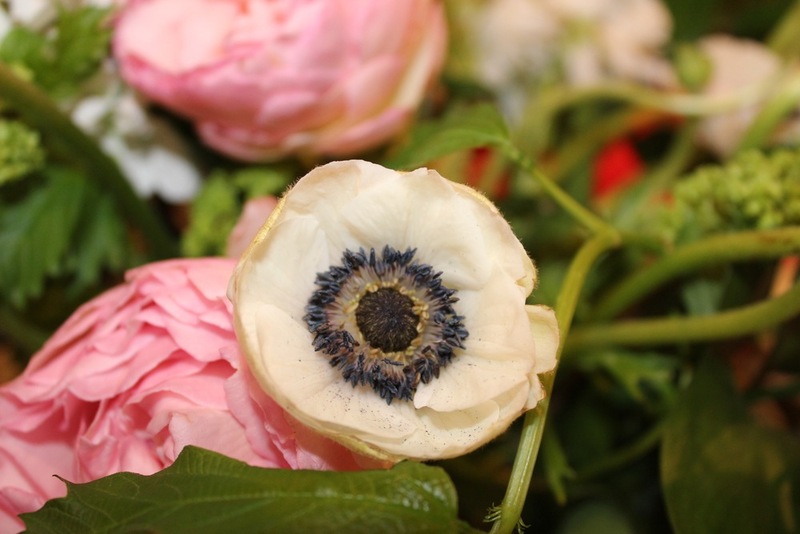 If you want to do floral on the reg, invest a little in these scissors and shears. What is your favorite hobby? 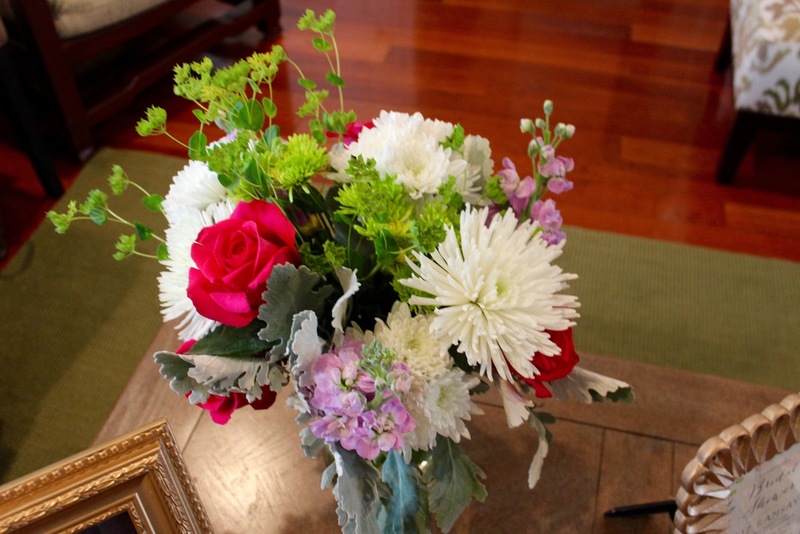 Do you like arranging flowers too?